 The University Police Department shares the mission of Buffalo State and is responsible for maintaining an atmosphere conducive to the educational process. To achieve our mission, we have established the following values that guide and direct the University Police Department. The University Police Department protects and serves Buffalo State by providing professional law enforcement services and actively promoting community involvement through progressive community policing strategies, problem solving, and a commitment to education. All members of the University Police Department are committed to providing the highest level of professional law enforcement services to all within the university community, regardless of race, creed, national origin, or sexual orientation. All members of the University Police Department are committed to community policing and service, which is the foundation that drives us to achieve the goals of enhanced quality of life, investigate problems as well as incidents, and foster a sense of community by establishing programs and collaborating with the people we serve. All members of the University Police Department nurture the public's trust by holding themselves to the highest standards of performance and ethics. All members of the University Police Department earn trust and confidence through high moral standards, conducting themselves in a manner which is fair, ethical, legal, and portrays a sense of duty and honor. All members of the University Police Department enforce the laws of the State of New York and the rules and regulations of the State University of New York in a fair and just manner. We are committed to the Constitution and strive to ensure that every citizen will be treated with dignity, fairness, and respect.